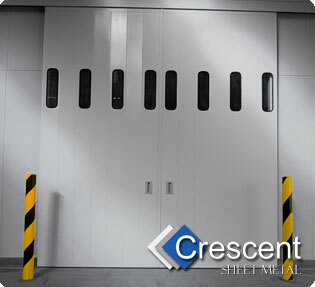 At Crescent working in partnership with CES industrial and commercial electrical engineers we have built a significant client list for the manufacture of ancillary equipment to compliment and installation of Loading Bays and associated access doors. Our Loading Bay and Dock Leveller installation work including all of the ancillary elements such as wheel guides, ramp supports, steel frames, dock leveller sub frames, dock and loading bay lighting, and safety and access systems. Over the years that we have repaired loading bay equipment and we have developed a specialist knowledge of the reconditioning of Dock Levellers. At Crescent we are experienced in building Prototype Frames. In addition we manufacture Single and Double gates to protect premises and remote plant and utility installations, together with industrial strength Lock Shields to protect isolated or high risk areas.